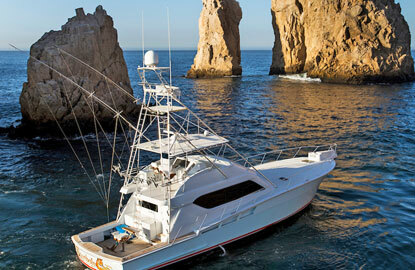 Pisces 60-Foot Hatteras "Reel Machine"
Get ready to fish the waters of Los Cabos in style aboard this beautiful, fast 60-ft. Hatteras. The Reel Machine is a vessel of class and comfort that�s equally adept as a sportfisher as she is pretty. 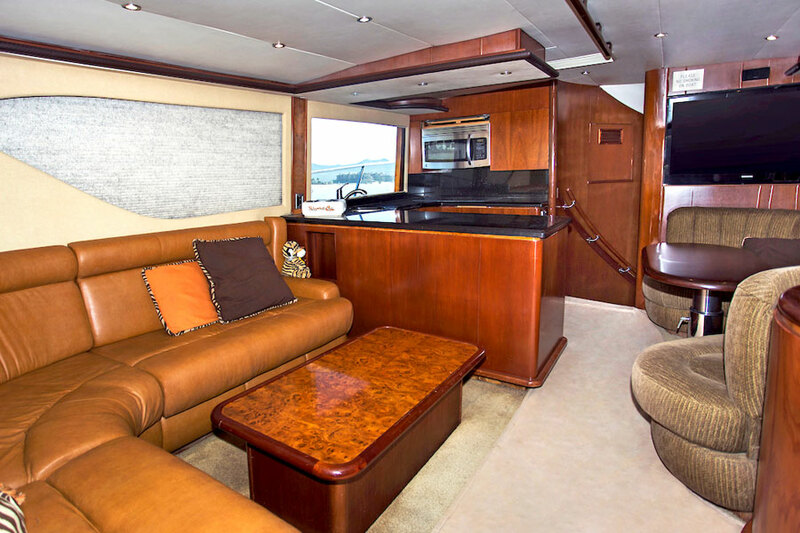 Inside, you�ll appreciate the cherry wood interior, leather seating in the salon, a well-equipped galley, Sirrius radio, entertainment system and inviting staterooms, each outfitted with plush linens. 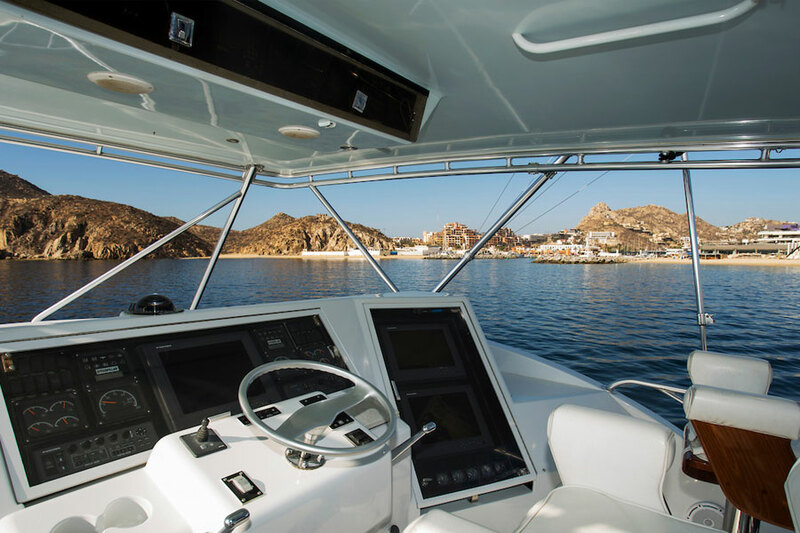 You and your guests will also admire the large sunbathing area on the bow, perfect for taking in those gorgeous Cabo vistas. Any knowledgeable angler in search of big game is sure to recognize the attention to superior equipment aboard the Reel Machine. The cockpit has an icemaker for keeping your catch cool, plus a tackle center with a wide variety of lures. The Reel Machine also offers GPS, side scanning sonar, a tuna tower, a range of tackle, tuna tubes and more. 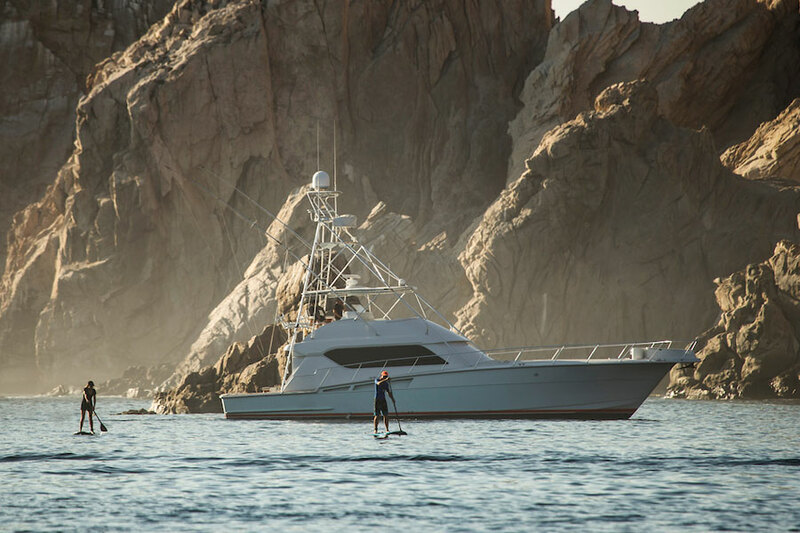 The very experienced captain, Nayo Winkler, is regarded as one of the best fishermen in Baja and has an impressive record of monster marlin and tuna catches under his belt. $110 charge for pick up/drop off in Puerto Los Cabos plus additional fuel charges ($200 - $500). These fees are paid directly to Pisces while in travel.